This 15,000 square foot park is truly the only space of its kind in New York City. The three outdoor sections of the park feature different play equipment for various age sets. While there is plenty of traditional play equipment such as swings, sand pits and climbing structures, you’ll also find exciting modern equipment like The Nest, the Cat-Tails, and the Icarus. The checkerboard rubber flooring and gleaming silver semicircular climbing domes give the park a distinct look and enliven the plaza perimeter. 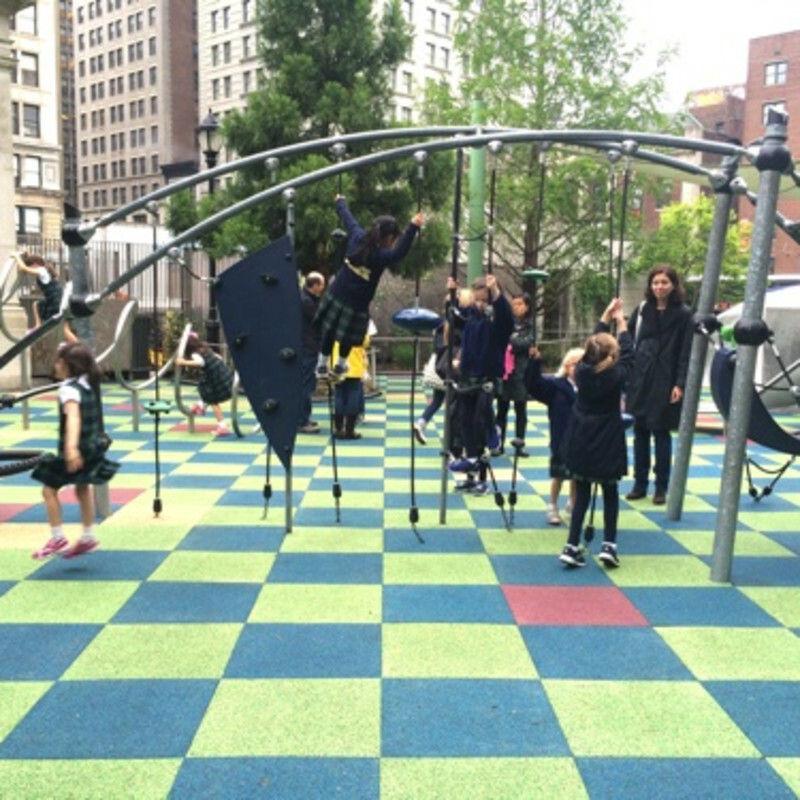 Water features, spiral climbers, and horned talk tubes provide plenty of action for children, and the gardens and greenmarket in Union Square provide plenty to keep parents occupied as well.